Posted February 8, 2018 by CultBox Editor & filed under Headlines, Trivia. Is Micheal Schur’s sitcom du jour part of the Pawneeverse? Gaining praise from both fans and critics alike, Netflix’s The Good Place has become one of the most popular new comedies of the past few years. Bought into being by ex-The Office writer and Parks And Recreation co-creator, Michael Schur, its not surprising that his new show would share the similar sensibilities, and even some acting talent, with his previous fan-favourite cult watch. However, one fan recently noticed something that led him to believe that The Good Place exists in the same fictional universe to Leslie Knope et al, and their parochial life in Pawnee. An eagle-eyed tweeter by the name of @ShinraAlpha, Recently pointed out that a magazine being read by Kristen Bell’s character, Eleanor Shellstrop, in the show features adverts that call back to characters from Parks And Rec. Specifically, the adverts feature a fragrance called Glyde by Dennis Feinstein and Jean-Ralphio champagne – both of which are references to minor recurring characters from the show, that ended its 125-ep run in 2015. 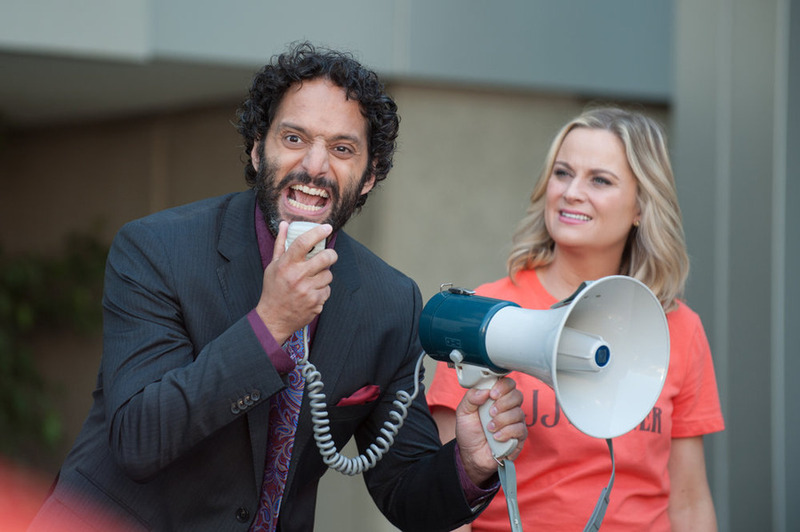 One thing that may pop @ShinraAlpha’s theory bubble a little is that the actor who played fragrance-designer Feinstein in Parks And Rec is Jason Mantzoukas, an actor who – alongside Adam Scott – moved from a role in the old Schur show to the new one. Oh well, it was a nice idea… But it’s more likely to just be a natty little throwaway easter egg thought up for the pages of Celebrity Baby Plastic Surgery Disasters.